Aside from the great weather and scenic views, Los Angeles is probably best known throughout the world as a hotspot for celebrities. Whether they’re out grocery shopping or attending a high-profile event, running into a celebrity is actually quite common for locals living in the city. For the most part, Hollywood stars are notorious for jumping through hoops to protect their privacy. 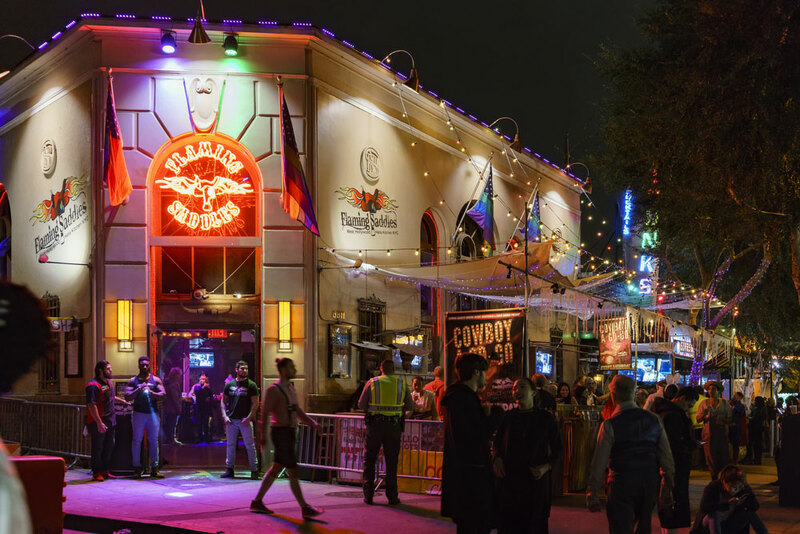 However, there are certain neighborhoods that regularly attract celebrities due to their upscale dining, exclusive nightclubs, and overall private settings. Here’s a list of LA’s most star-studded neighborhoods for homebuyers looking to live next door to a celeb, or at least catch a glimpse of them. Out of all the places to possibly run into a celebrity, West Hollywood should be one of your first destinations to consider. This highly desirable urban neighborhood is situated within a prime location in the city because it's adjacent to popular neighborhoods like Beverly Hills, Hollywood Hills West, Fairfax, and Hollywood. There are several reasons why movie stars and socialites seem to flock towards the endlessy trendy WeHo, as locals call it. Not only is the area low-key, it’s also near a number of local amenities such as Runyon Canyon, The Ivy on Robertson, and many top-notch entertainment studios. Known for having the latest lively nightclubs, award-winning dining establishments, high-end boutiques, and luxury homes, West Hollywood is simply a magnet for the rich and famous. 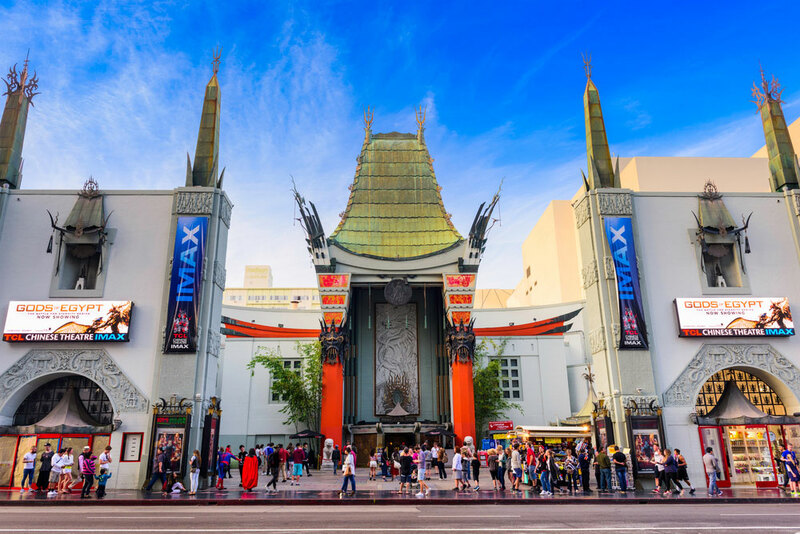 Star-studded community staples include the shopping and dining scene along Santa Monica Boulevard as well as hotspots like Chateau Marmont on the Sunset Strip, Nobu on La Cienega, and the colorful Pacific Design Center on Melrose. Another hotspot for celebrity sightings is in the swanky residential neighborhood of Bel-Air, which is a lavish, gated community lined with impressive mansions, often hosting photo shoots and film sets. This community was brought to the spotlight thanks to the popular television shows, “The Beverly Hillbillies” and “The Fresh Prince of Bel Air,” which were also filmed here. Even if you don’t end up seeing anyone famous, you may still catch a glimpse of their lavish estates while driving through this ritzy neighborhood. 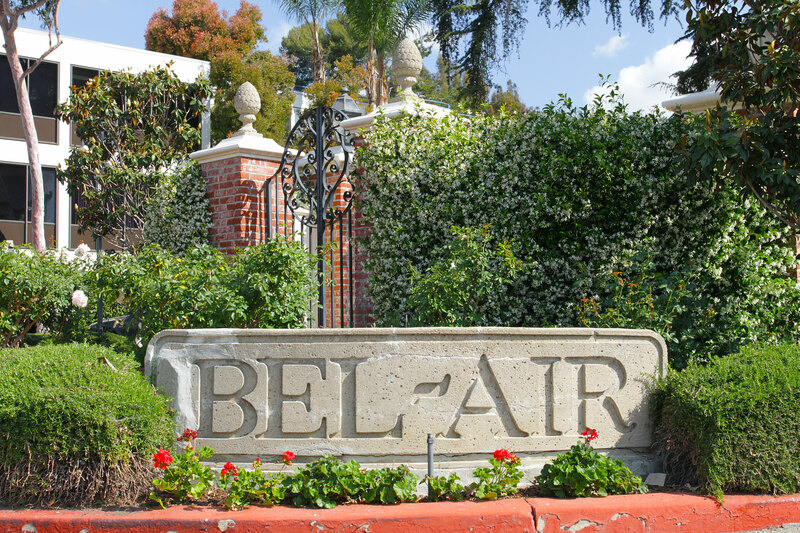 There is also long list of notable residents who have either owned a home or still live in Bel-Air, including Jennifer Aniston, Beyoncé, Elon Musk, and Michael Bay. Celebrities also frequent several attractions inside the gated community as well, such as Hotel Bel-Air on Stone Canyon Road and the Bel-Air Country Club on Bellagio Road. Many stars prefer to spend time farther away from the hectic city of Los Angeles, opting to live in beachfront properties near the ocean in Malibu. This oceanside community is known for its beautiful beaches, scenic views, and impressive estates. Celebs flock to the beaches of Malibu because they offer more privacy. The closer you are to Venice, the more crowded the beaches get, so it makes sense that celebrities gravitate towards more secluded beaches such as Carbon Beach (aka Billionaires’ Beach) on Carbon Canyon Road. 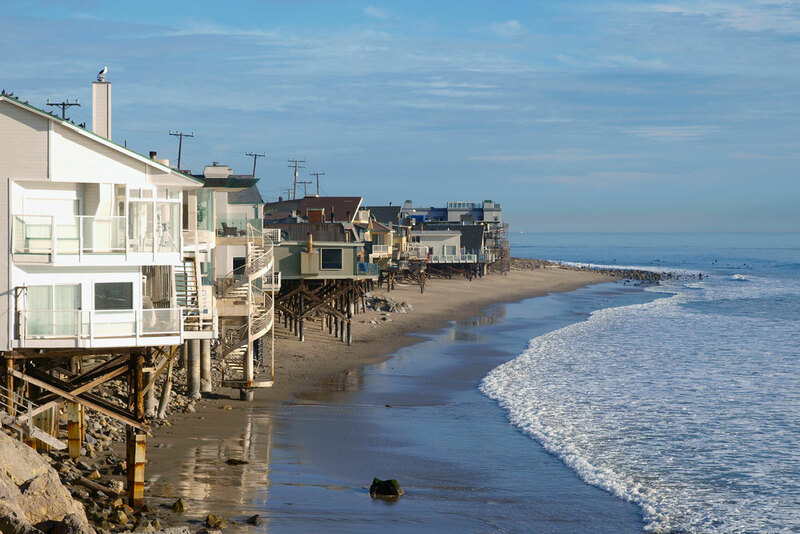 This beach is located a mile away from Malibu Pier, and it has several extravagant houses overlooking the waves. Another popular destination that is often visited by celebrities is the famous Malibu Country Mart, which is known as a casual shopping outlet that features over 65 boutique shops, art galleries, and eateries. 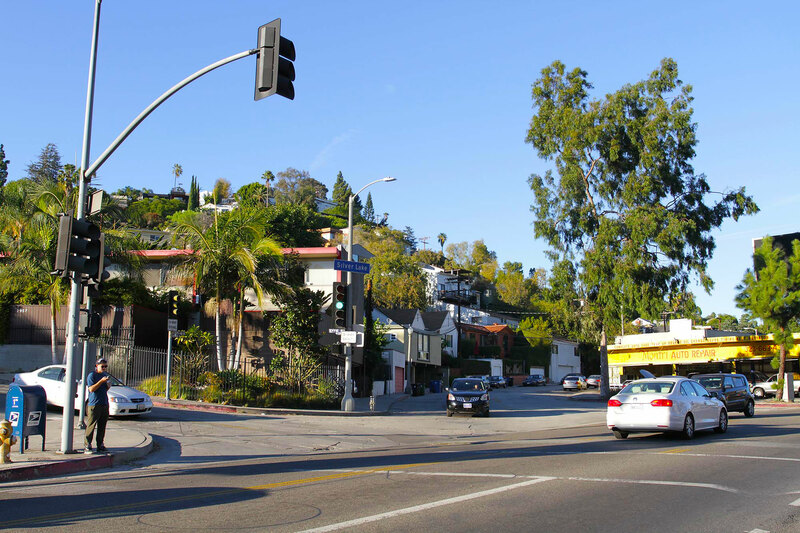 With so many high-quality restaurants, thrift stores, and hip cafes scattered throughout the neighborhood, celebrities are naturally drawn to Silver Lake. A large number of famous folks live in the neighborhood, including Rachel McAdams, Ryan Gosling, Chris Pine, and Fred Armisen, according to Ranker. While many attention-seeking socialites head toward West Hollywood for a night out, many attention-avoiding celebrities head toward the low-key Silver Lake. While Silver Lake doesn’t offer much when it comes to a thriving nightlife, it offers more when it comes to great food. Some popular options in the neighborhood include locally sourced coffee and brunch at Sqirl or produce shopping at the local farmers market. Surprisingly, not many stars live in Hollywood, but the chances of running into someone famous near a studio or theater is high if your timing is right. Hollywood is where all the major award shows take place, and it’s also where actors, musicians, and models go to either film, record, or shoot for their work. Many actors attend screening events for their latest movie premiere at the popular TCL Chinese Theatre. Another celebrity gathering spot is The Hollywood Roosevelt, a luxury boutique hotel and bar. Every year, Hollywood’s Chamber of Commerce announces it’s list of celebrities to get a star on the historic Walk of Fame. The ceremony is not only free but it’s also open to the public, so remember to pay attention to the latest announcements.